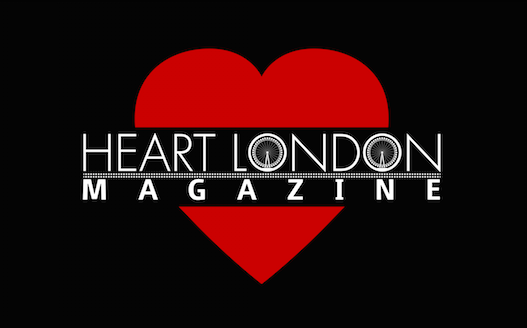 Home » London Events » LONDON EVENTS – Film favourites and the great outdoors, what more can you ask for? 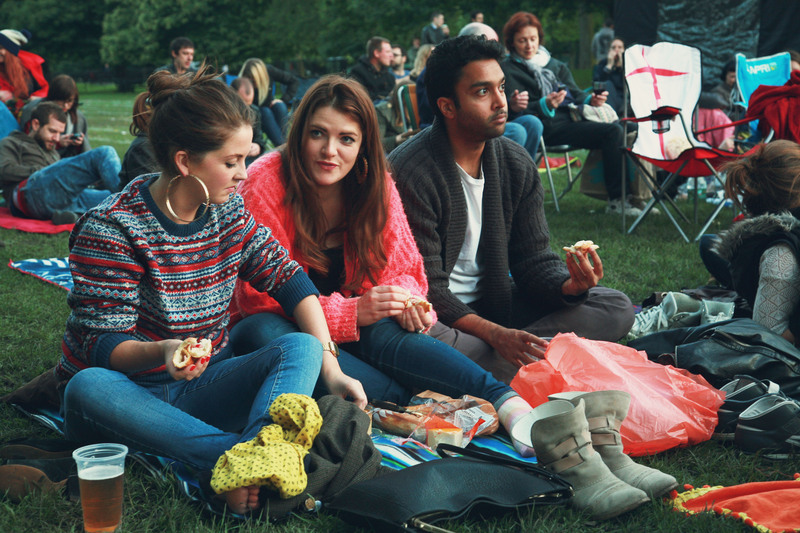 LONDON EVENTS – Film favourites and the great outdoors, what more can you ask for? The leading name in summer cinema, Pop Up Screens returns with an unbeatable programme aimed at anyone with a love of classic films and the great outdoors. Heading to nine of London’s most idyllic settings, including the Greenwich Peninsula, Bishop Park in Fulham and Eltham’s Tudor Barn, Pop Up bring a bigger, eclectic line-up of films for 2015. Bring your blankets, your beanbags or your 3 piece suites, buy an earth-moving burger and treat yourself to something over the summer. This year, Pop Up are rewarding its regular visitors with a special loyalty scheme. For every £10 ticket bought, one shiny pound of credit is awarded, meaning ten tickets will give you a whole ticket for free. Under 10s and over 65s can enjoy the magic for just £6, and if you want a weekend-long outdoor movie marathon, tickets are £20 for all three nights. The dining stakes have also been upped, with gourmet burgers from the good folks who supply Harrods waiting for you on-site with cold beer and fizzy beverages to wash them down with. At £10 Pop a trip to Pop Up Screens cost less than an average trip to your local multiplex, this is the perfect way to relax and soak in a winning combination of unmeasured fun and an unrivalled selection of films. With a series of gorgeous settings across the capital, expect twinkling lights amongst the trees, a hum of excitement from like-minded film fanatics and hushed anticipation punctuated with laughs, gasps, and the occasional quote-a-long, all shielded from the city but not far enough not to feel like home. Wasting no time easing into a stellar 2015 programme, Pop Up Screens kick off their season with a wave of nostalgia. Set against the picturesque Greenwich Peninsula, watch David Bowie and his hypnotic crotch in Labyrinth, swoon over Heath Ledger in 10 Things I Hate About You and bask in the boyish charm of Tom Hanks in Big, while being transported back to a time when school was rubbish, crushes were everything and rock stars were Goblin Kings. The Eighties are a big presence in the programme this year, and August brings with it some of the most loved movies of the era. Ghostbusters, Dirty Dancing, The Goonies and Footloose will all be heading to a park near you in all their synthesised, foot-tapping glory. Romantics will find a perfect evening in screenings of Four Weddings and a Pretty Woman and Baz Luhrmann’s Romeo and Juliet, beneath the stars. And if, simply put, you just want to watch a good movie that is not a remake or a sequel or a sequel to a remake, Pop Up have got you covered. Pulp Fiction, The Big Lebowski and Stand By Me are only some of the classic quotable favourites that will be making up a month of fantastic film. Just because the summer is winding down doesn’t mean that life is over for the year. As the tan marks fade and the evenings grow darker, console yourself by belting out the songs of Grease in Fulham’s Bishops Park. 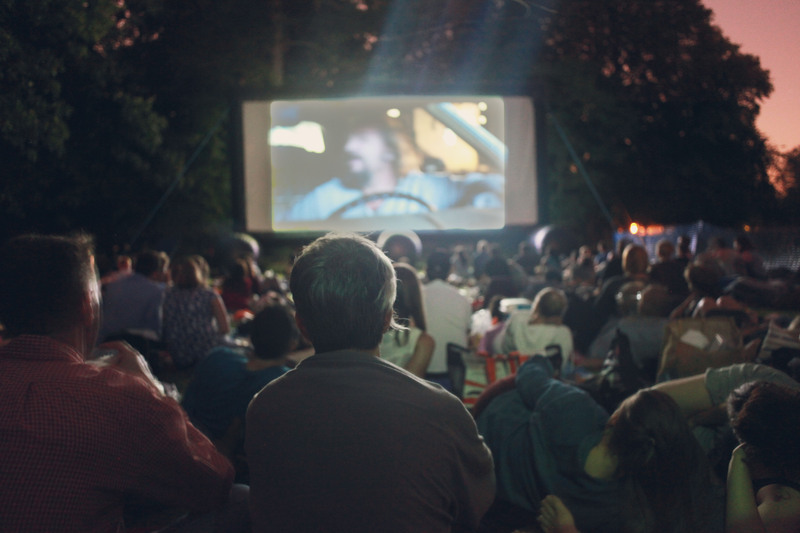 Pretend you’ve got something in your eye for showings of The Lion King or Up, or weep openly at The Notebook and revel in Alan Rickman’s Sheriff of Nottingham in Robin Hood Prince of Thieves Ravenscourt Park, Hammersmith. It’s a cathartic experience at the movies, and paired with the fresh air and mystery of a park in the dark, you will never want to sit in a theatre again. Whether you’re looking for a good scare, a quiet cry or animation that will take your breath away, there will be something in this season of great cinema that will suit you to the ground. Bring friends, bring partners, children, even your mum, dress up if you want, and share films under the sky.